Packaging was initially developed to keep foods fresh longer and provide protection during transportation. Both of those assets have aided in the reduction of the amount of waste going into landfills. Yet, packaging can still fail, setting in motion the recurring problem of additional waste. Proper material selection helps ensure that packaging will perform as promised. 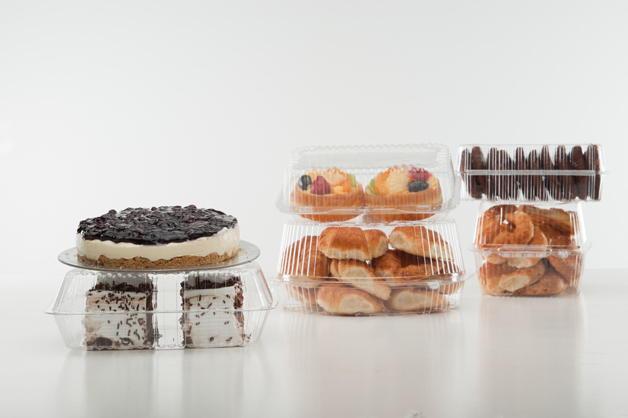 Most food manufacturers have become knowledgeable about the variety of materials available for packaging. An increasing awareness of materials and their relationship to advancing manufacturing technologies was contributed, in part, to why more food and packaging manufacturers continue to convert to PET as a packaging material of choice. PET sheet provides many distinct characteristics that give it an edge over other polymers for food packaging with one of its principal advantages being mechanical robustness. PET sheet combines rigidity with toughness and is resilient enough to prevent packaging from cracking, thereby ensuring good performance during transportation. Additionally, PET sheet offers lower permeability for oxygen compared to other commonly used polymers, increasing the shelf life of the food. Recycling of plastics is currently one of the best ways to take material out of landfills. Recycling PET sheet, in particular, features many advantages compared with the recycling of other plastics materials. Recycled PET is used for manufacturing of packaging, car parts and many other products. It is important to note, however, that not all PET sheet is manufactured using the same process. For example, OCTAL’s DPET™ is the first and only direct-to-sheet polyester sheet in the world. OCTAL’s unique direct-to-sheet process, DPET™ technology eliminates five energy intensive stages of the conventional sheet production process (pelletizer, SSP, compactor, dryer and extruder).